28awg is what I should use then? I'm not even going to tell you what I used, I'll give you a hint though. Smallest wire at radio shack Can't wait to make another one. The smallest wire at Rat Shack is 30awg magnet wire, which is technically the same size as what I used for some of this, but it's actually thinner as the insulation on it is an enamel, so it's a lot thinner than the coating on 30awg Kynar wire. You should use whatever awg ya need for whatever you're doing. The 28awg is a little big for soldering on those IC pads, but could be soldered to a Via with little issue, so it all depends on what/where/how you're doing it as to what awg will work better. They have the 30awg Kynar (Wrapping wire) at Rat Shack also. A little update where I'm at with this thing.. It's all wired back up and still works (bonus) so now all that's left is to mount the PS3 board in there and that's about it. The L1/R1 buttons aren't really used too much, Look Back is for people that like running into things and Voice Chat might get used, but I think I'll add them to the control box anyway. Last edited by RDC; 18th July 2009 at 02:08 PM. I got one of these joypads, never thought of using it to play, are they good for wipeout. Haha Asa Warning: Alcohol and WipEout is no good combination! … well … at least if you're going for records. If you're not, well, then it's fun! On Topic: I never played with a NegCon (Shame on me! ), but I see its advantages. But: I have to admit that the motion sensor works pretty well for pitching in WOHD. I did not get the hang out of it for steering (though there are people who are pretty good with it), but for pitching I thought it was very enjoayble. Is the NegCon still that superior to the motion-sensor-pitching? If it is: RDC, I'll preorder one for the time I buy a PS3. That means I'll preorder one for the time the PS3 has the 360's price niveau. Or is at least available for around 200€ on ebay. anything with samba do brazil Sounds good to me. NegCon Is VASTLY SUPERIOR to current motion sensing technology. By orders of magnitude. We're not all busting our nads for nothing, ya know. Also - the D-pad feels sooooooo nice, too. sorry xavier, got to get to bed, will try kinetica another time. 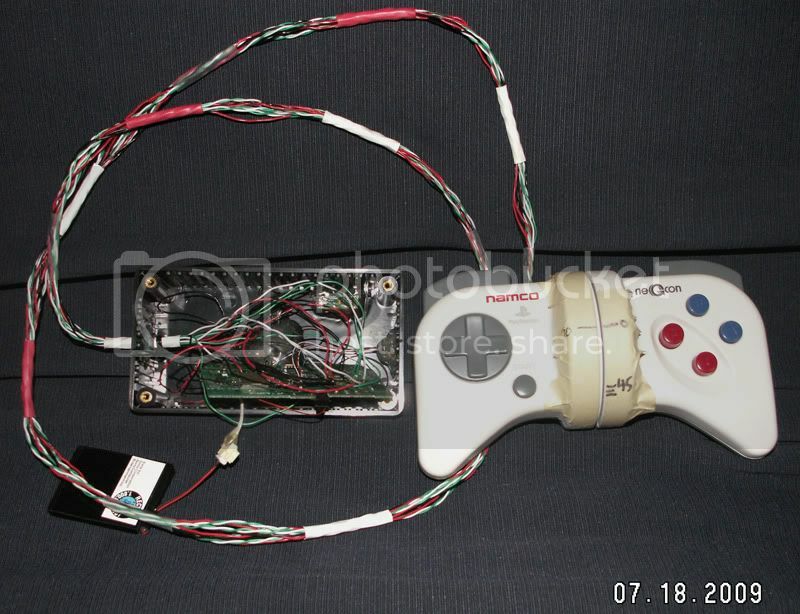 Does kinetica allow for dpad movement? Just a quick question to those that have meddled with the innards of both the NegCon and the sixaxisis. I'm thinking NO ,but if a possible YES was the reply,well I'm out with the soldering iron.